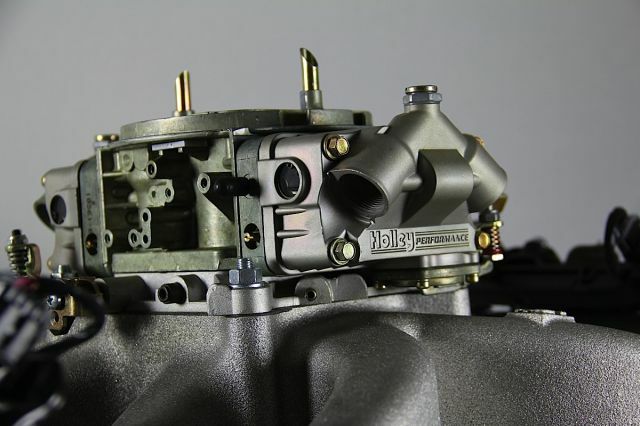 A carburetor is a device that sits on top of an intake manifold and has one basic job: to properly mix air and fuel for delivery into an engine. While this may sound like a simple process, it can get complicated and frustrating. One of the most difficult jobs on a carburetor is getting the proper idle mix. If done right you’ll have a perfectly smooth idle. 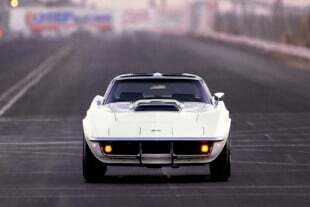 However, if done wrong, you’ll wind up with stalling, pinging, and a rough idle. 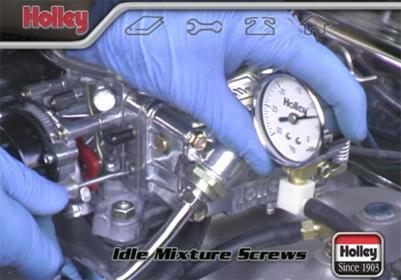 This quick walk-through will get your Holley carb up and running with a perfect idle in no time. All you’ll need is a screwdriver and a good vacuum gauge. 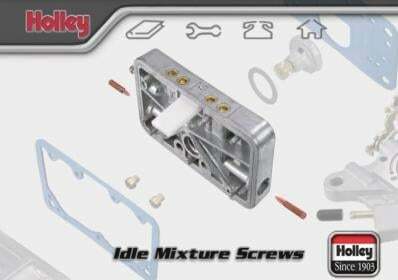 Holley carburetors feature idle mixture screws which control the air/fuel ratio and these are usually the main culprits in an improperly idling carb. The first step to getting proper idle is checking for vacuum leaks. This means checking all the hoses going to the carb and intake manifold for any cracks or loose fits. If you come across this problem, replace the hose with a new one. 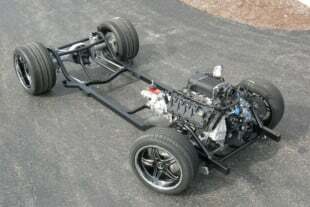 Once this has been done, we can move on to the carburetor. 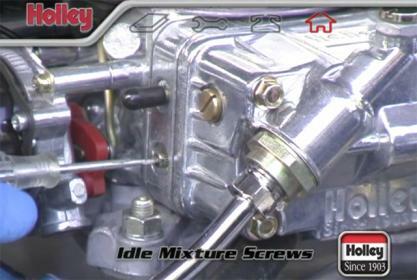 On Holley carbs, there are two screws that control the idle mixture on the primary metering block. On some four barrel carbs, the secondary metering blocks may have these screws as well. They will all need to be adjusted. 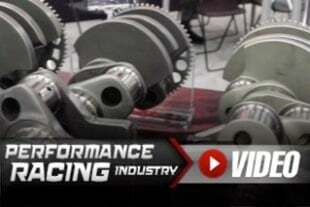 To adjust these screws correctly, you’ll have to start by connecting your vacuum gauge to a vacuum port on your intake manifold to obtain the highest vacuum reading possible. The first step after connecting the vacuum gauge begins with the engine off. Start by turning one of the idle mixture screws on the primary metering block clockwise until it bottoms out. The primary metering block is usually located closest to the front of the engine. Once the screw is fully closed, turn the same screw counter-clockwise one and a half turns. Do this with ALL of the other idle mixture screws as well. Next try starting the engine. If you have a hard time getting it to idle, adjust the curb idle speed screw clockwise so that the engine doesn’t shut off. Once you’ve reached an idling motor, let the engine warm up and make sure the carburetor’s choke is off. If you’re driving an automatic, offer a buddy a beer to come over and sit in the car. Users will have to put the car’s parking brake on and then put the car in drive while depressing the brake pedal. Make sure they do not rev the motor at all or touch the gas pedal. If you have a manual transmission, the carb can be adjusted if the parking brake is set and the transmission is in neutral. 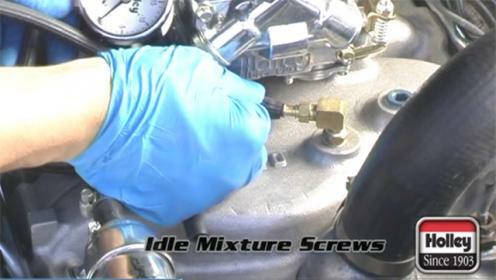 After this has been done, you can begin adjusting all of the idle mixture screws. Turn them slowly clockwise and counter-clockwise until the vacuum gauge reads the highest possible reading you can achieve. 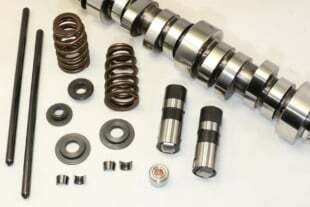 Repeat this process for all of the idle mixture screws. A helpful hint: All of the vacuum readings on the vacuum gauge should be the same for each screw you adjust. After all of the idle mixture screws have been adjusted, you can finally adjust the curb idle speed screw so that the motor revs at the proper idle RPMs. 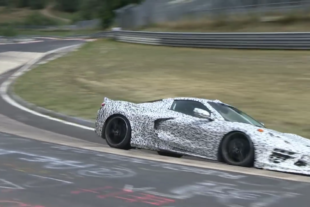 Once this has been finished, you’ll notice not only a smoother idle, but also better fuel economy and more power delivered throughout the engine’s RPM range.